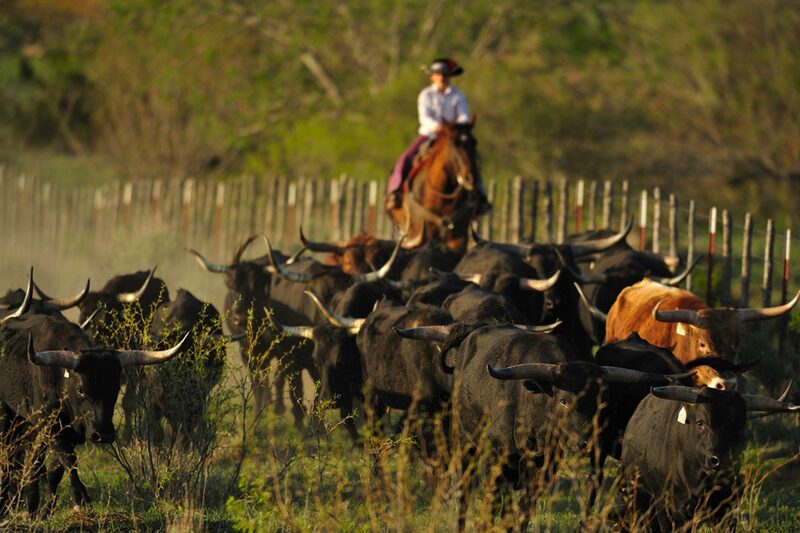 What better way to experience true Texas culture than with a stay at one of the state's many ranches. Don your stetson and your boots, take a ride out on a breathtaking trail before a tasty cookout and singing around the campfire. 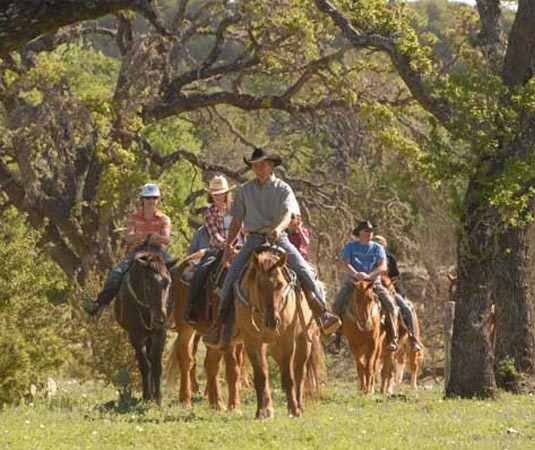 Nestled in the spectacular Texas Hill Country in Bandera is the Dixie Dude Ranch. This is not a resort ranch, it's an old-time working stock ranch which was founded in 1901 by William Wallace Whitely. Longhorn cattle, Spanish goats and pigs are raised, hay is cultivated and real cowboys work the horses and compete in rodeos. Guests can enjoy a range of activities such as horse riding, swimming, fishing, hiking, hayrides, campfire sing-alongs, dancing and lots of Western fun! There's a community dining room for family-style meals, a spacious living room to relax and watch television, there's an antique piano for those inclined to tickle the ivories and antique saddles are proudly displayed for those interested in Texas history. 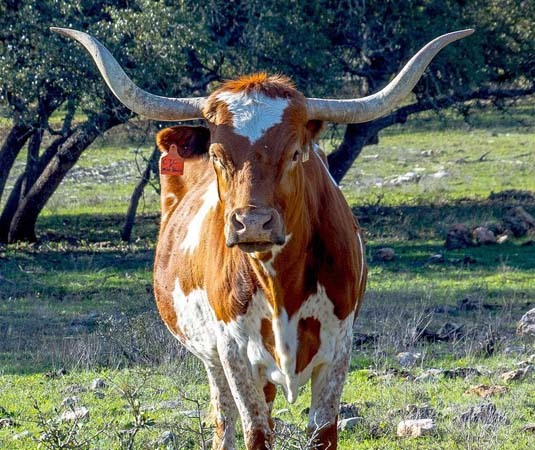 Wildcatter Ranch is a resort ranch within easy reach of Dallas-Fort Worth. Here, you can discover the beauty of the North Texas Hill Country and reconnect with nature. There are 25 miles of riding trails around the ranch, so enjoy a group trail ride or private ride with the team of knowledgeable cowboys. Other activities include clay pigeon shooting, archery, historical jeep tours and there's also miles of excellent hiking trails available. 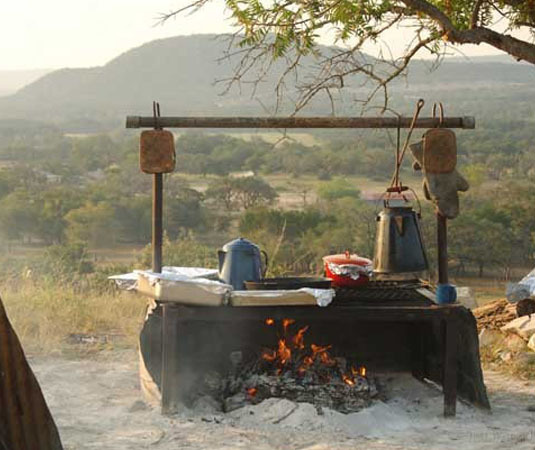 Call and speak to one of our travel experts who have experienced Ranches personally. The Dixie Dude Ranch is located in Bandera, which is around an hour’s drive from San Antonio. The Wildcatter Ranch in Graham lies approximately 2 hours drive from Dallas. Both our featured ranches are available year round.